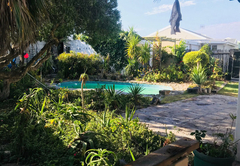 Melkbos Seagull's Lapa is a property providing self catering in Melkbosstrand for up to 7 guests visiting the Blaauwberg region. 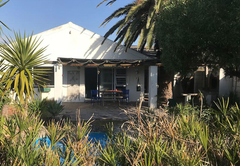 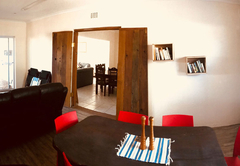 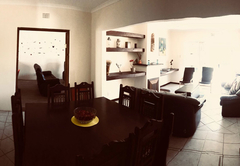 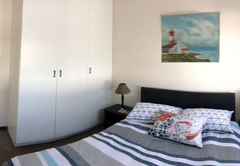 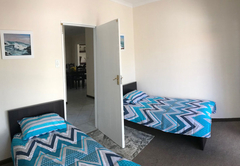 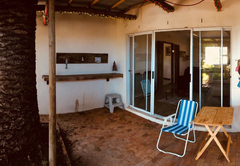 Melkbos Seagull’s Lapa is a comfortably furnished holiday home situated in the traditional and quaint little coastal town of Melkbosstrand. 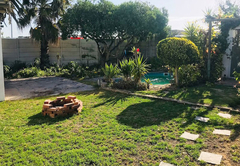 The house is close to the beach and within easy driving distance of Cape Town and the surrounding winelands. 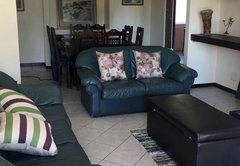 Melkbos Seagull’s Lapa is a secluded holiday home which can accommodate up to seven guests. 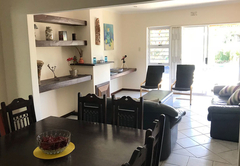 The house offers three bedrooms and two bathrooms. 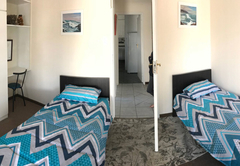 The first and second bedrooms are each furnished with a double bed. 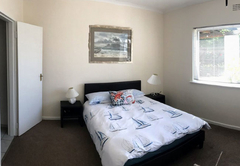 The third bedroom has two single beds. 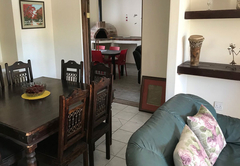 There is a full kitchen, an open plan lounge and dining area as well as a second open plan lounge and dining area with a pizza oven. 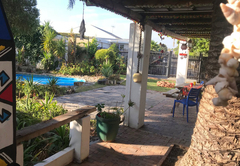 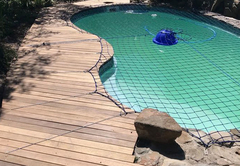 Further facilities are a swimming pool and outdoor braai area. 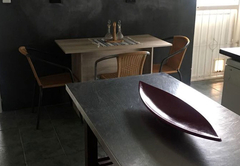 There is parking available on the premises for our guests. 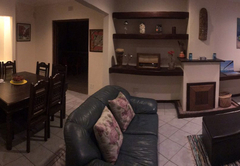 Pets are allowed subject to prior arrangement. 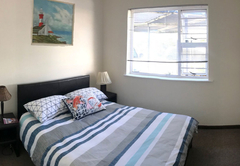 The surrounding beaches are a kite surfing and windsurfing Mecca for all levels. 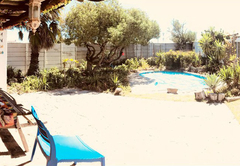 Alternatively experience diving in a kelp forest or try fishing for a Galjoen or Kabeljou. 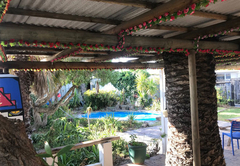 Unwind in the holiday atmosphere with restaurants and pubs close by and if you don't want to drive, bus routes are just around the corner. 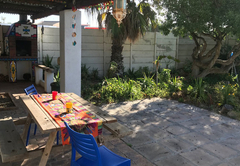 Seagulls Lapa can accommodate up to 7 guests, and comprises 3 bedrooms, 2 bathrooms, a full kitchen, an open-plan lounge and dining area, and a second open-plan lounge and dining area with a pizza oven.